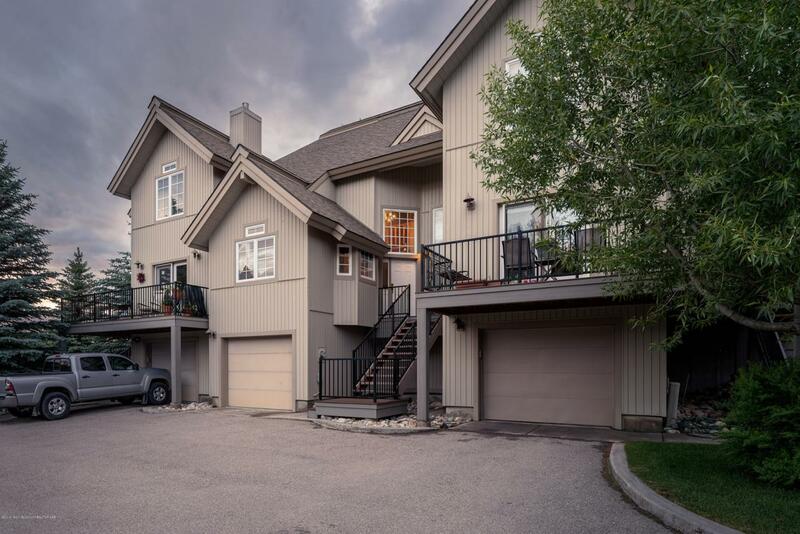 Excellent townhouse opportunity along Ski Hill Rd in Driggs. This Stoneridge unit offers over 1700 sq ft of living space. 3bd/4ba. Freshly painted with new kitchen appliances. Open living/kitchen/dining area with hardwood flooring and a gas fireplace on the main level. Nice and private back deck and wooded backyard. Upstairs is the master suite and guest room with bath. The downstairs bedroom is perfect for a specious bunk room. Oversized 1 car attached garage. Minutes from downtown Driggs or the powder at the 'Ghee. Short terms rentals are allowed, and a great investment property.